The search for a new town manager in Rocky Hill is slated for discussion or possible action by its town council Monday night. 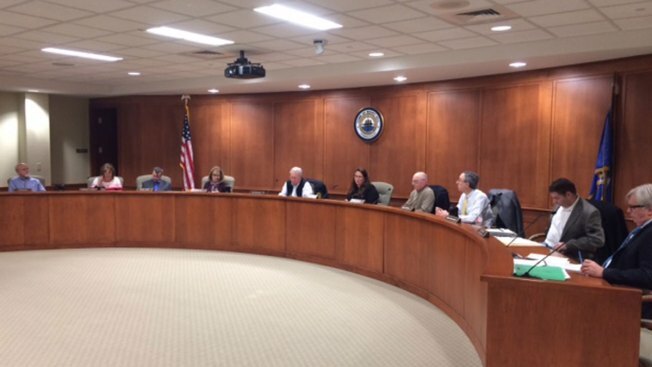 Republican council members have remained in an uproar following a vote Feb. 6 that gave Interim Town Manager John Mehr the job on a permanent basis. Following the vote, Democrats in the majority acknowledged, “there is some ambiguity in the charter,” and sought the opinion of the town attorney. The town refused to give the NBC Connecticut Troubleshooters that opinion, citing attorney-client privilege. However, NBC Connecticut Troubleshooters obtained that opinion document from a town official. The opinion from Feb. 22 sides with the Democrats’ belief that a 5-4 vote was sufficient. In part, it said, the charter language should be interpreted in part with something called "the last antecedent rule". It says the requirement of six votes only applies to the last antecedent in the sentence, “removed or suspended”. Council Republicans responded in a letter dated Feb. 28, calling the legal opinion rendered a “most ambiguous legal analysis” characterizing the Democrats’ attempt to legitimize their simple majority vote as “a misguided attempt to manipulate the charter”, asking the town human resources director to cease all contract negotiations with Mehr. Tonight’s town council meeting begins at 7 p.m. inside council chambers at Rocky Hill town hall. You can read the six page legal opinion by the town attorney, the Republican council members response, and tonight’s town council agenda here.